Sleeping Ute, View from Mesa Verde N.P. This is the Painting I donated to the N.P.S. 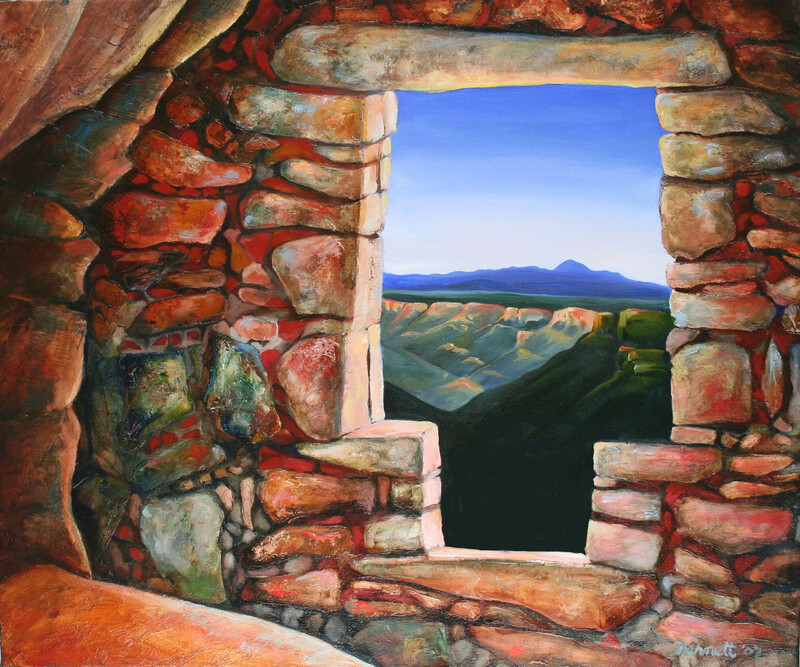 after I was Artist in Residence at Mesa Verde. 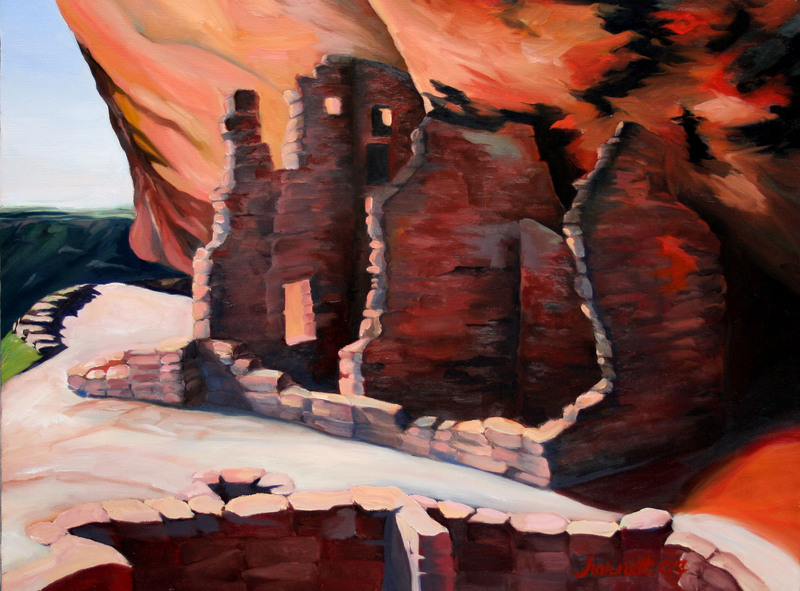 You can see this painting at the Museum on Chapin Mesa. These empty rooms are very small & claustrophobic. The windows of these ancient buildings are dark and seem unknowable, yet hold the past’s secrets for us to find. 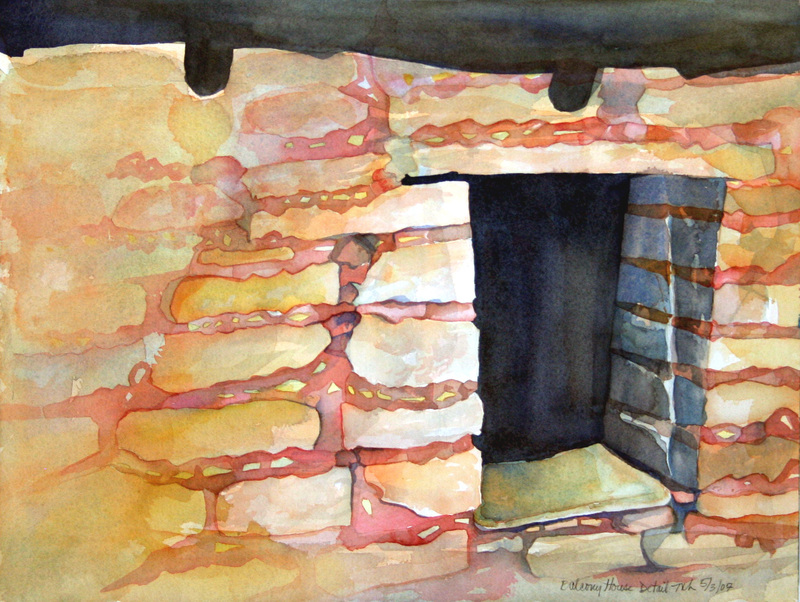 A dark window in the back of Balcony House, smoke blackened room with a turkey enclosure and incised turkey tracks. Living on the Edge, Long House Mesa Verde N.P. Long House is an amazing site; I know of at least two other artists who’ve painted this particular view. I was attracted by the intimate yet mysterious feeling. Here’s another view of Long House, the sunset turning the canyon red and warm. Much of what we see now was once enclosed. It was dark and smoky. This entry was posted on March 18, 2011 by Mary Harnett. 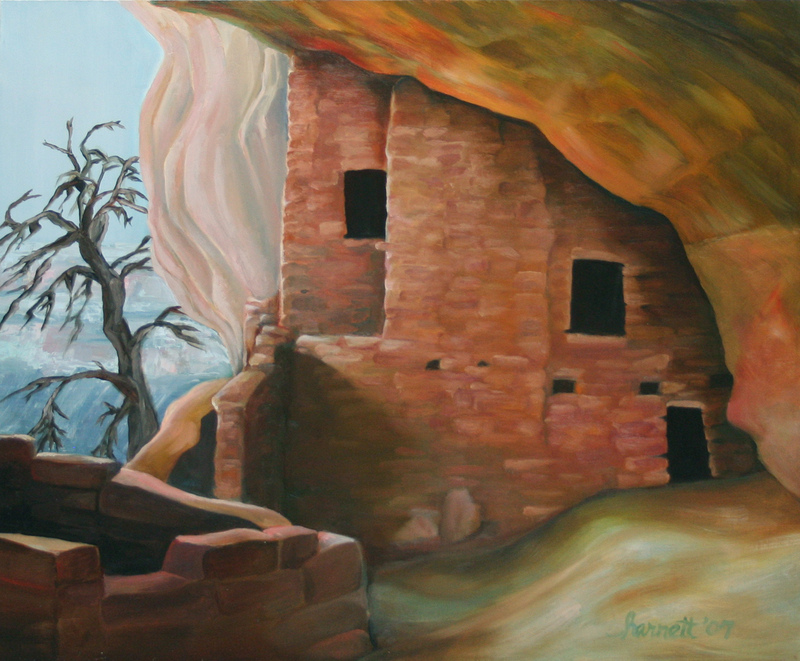 It was filed under Mesa Verde, Oil Paintings and was tagged with SW Colorado.